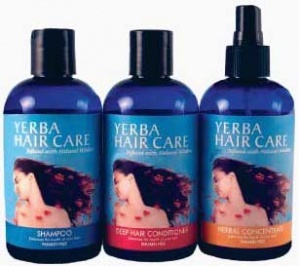 I bought the Yerba Hair Care trio in March and have been using it regularly, and i would swear by it. I'm 50 and my hair was really thinning on the top front of my head. I could see my scalp when I was in the sun. This was beginning to be a real worry for me. But now I'm shocked because in noticing that my hair is growing back and it is a lot thicker to the touch when I put my fingers through it and I can't see my scalp. I never give testimonials but I read the others before I bought this and hoped the others were truthful and they really are. Hard to believe maybe but I swear by it. Thank you, it is so worth the money and I'll be using this forever now. -- Deborah D.
*Disclaimer: Results may vary based on individual user. I have had excellent results from Yerba Concentrate and recommend it to anyone who wants to improve their hair and scalp. For years I had scalp problems but after only a few weeks using Yerba Concentrate my scalp has returned to normal and my hair has grown faster and the texture improved. Thanks to Yerba Concentrate!" I started using strictly herbal, natural and organic products in 1984 while living in Detroit, Michigan, when my son was born. Your new outside look is great, but even greater -- the inside contents are still THE 'REAL' THING -- and my choice Thank you for keeping your Yerba Hair Care products -- real-! I was at a local Walgreens Pharmacy, just having a conversation with the gal at the cosmetics counter, and asked if she had anything for my scalp condition. She recommended your product. She also said that her customers have recommended it, as their hair had become thicker, especially one older gentleman. Not only has my scalp improved, but my hair is thicker also, as it was when I was in high school. Thanks again. I live in NYC where just about every hair product is available..., so you can imagine my surprise when after the first use I noticed a difference in the texture and more importantly the moisture in my hair & SCALP....To my surprise, my hair got better with every use. Softer, moister, scalp more relaxed, less dandruff, and more importantly less sebum. It's been 3 months...and the condition of my hair has generally improved but more importantly my hair is growing back.... My hairline is filling in beautifully and my hair feels great under the kind of circumstances that normally would have it feeling like brittle straw....I just want to say thank you for your product..
One of my students told me to try Yerba Hair Care, and so I bought a set to try. It seemed to work well, but after the set was gone, I returned to Suave for a few weeks. In that short time my hair began to fall out again, so I rush ordered another set of shampoo and conditioner. Thank you so much, I will never use another shampoo or conditioner again! Your products are wonderful, my hair is combable and then full of bounce...and besides, the conditioner reminds me of a smell from Playa del Carmen, Mexico... a very pleasant memory. I also use some color and have some old perm left in my hair and I truly believe that your products have helped my hair stay healthy and shiny even after all the chemicals. 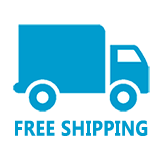 I just ordered everything including the travel pack. Thanks for great products!! !